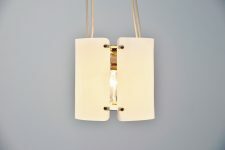 Very nice pendant lamp made by unknown designer or manufacturer in Italy 1960. 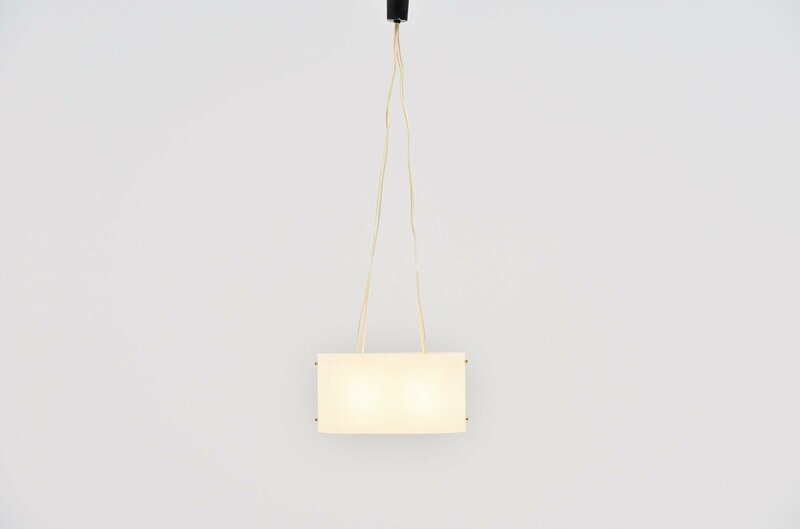 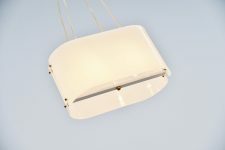 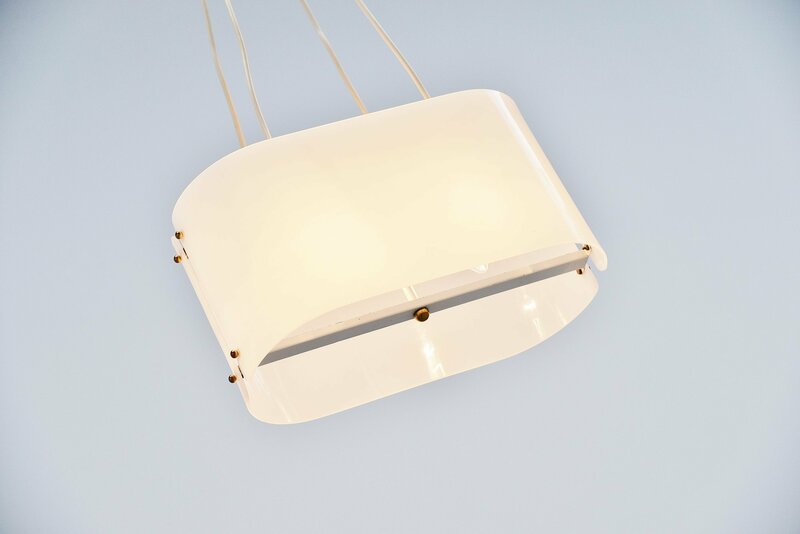 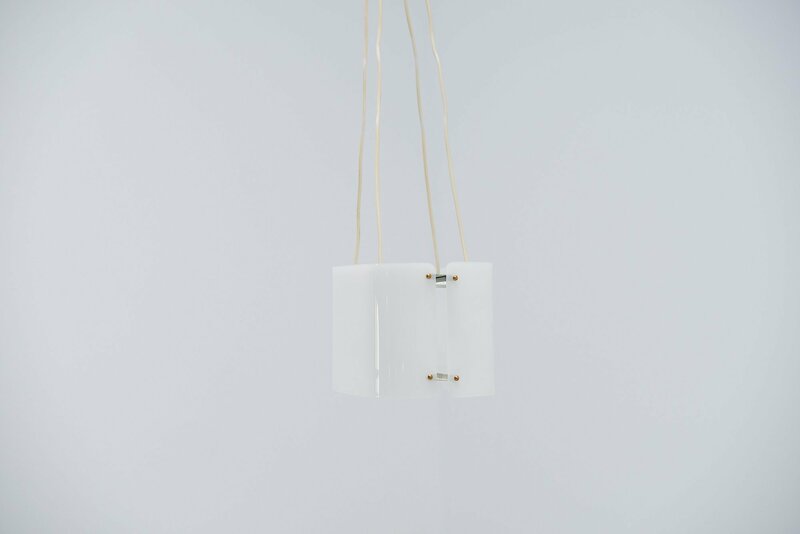 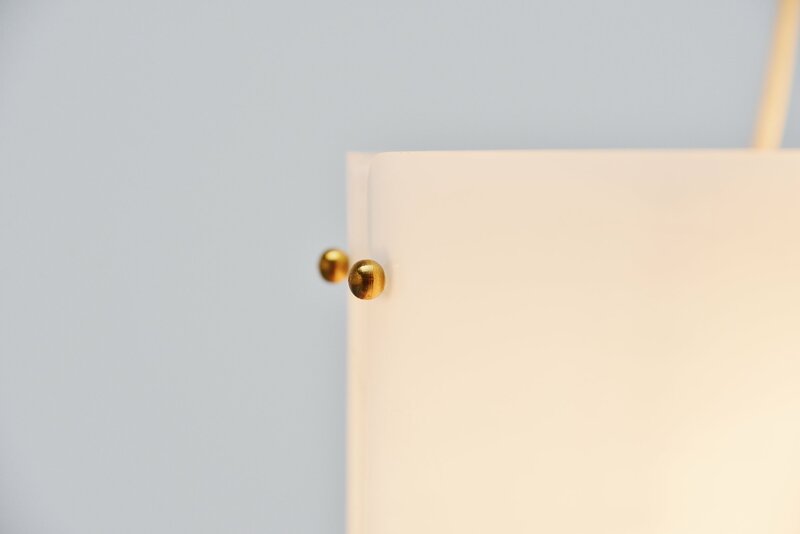 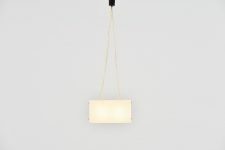 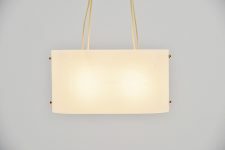 The lamp has a metal frame with 2 bent plexiglass shades, finished with brass knobs. 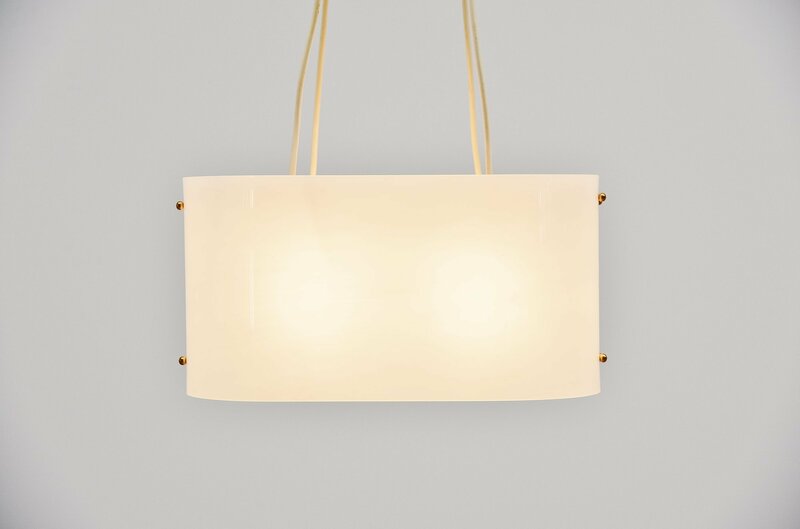 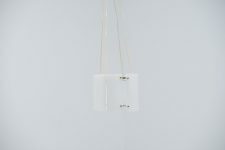 Very nice and well made pendant lamp that can be attributed to Arredoluce, Stilnovo or Stilux. But since it is not marked we are not sure. It sure is a very interesting lamp from the 1960s.